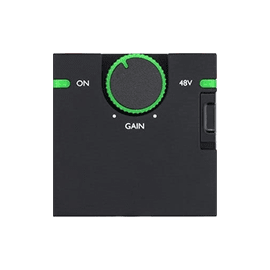 Focusrite - Andertons Music Co.
Focusrite is one of the leading manufacturers of audio interfaces and studio hardware, catering to both the seasoned professional and the home studio hobbyist with high quality, reasonably-priced gear. Focusrite is often the entry point for many musicians looking to build a project studio from scratch. Their Scarlett and Clarett audio interfaces offer fantastic quality and performance at reasonable prices, so they're the perfect choices for singer/songwriters, producers and small bands. Focusrite’s rich history began in 1985 when Sir George Martin asked legendary console designer Rupert Neve to create a mic preamp with EQ for the console at Air Monserrat. The modules that came out of this design process were named the "Input Signal Amplifier" (ISA), which quickly became renowned for its unique sound. As the company grew, the ISA design was then used in Focusrite’s Studio Console, of which only 10 were made; a few are still in use today. The mic pres, EQ and dynamics of the Studio Console were then used to create the distinctive Red Range of audio interfaces, and also the authentic Heritage series, which to this day are renowned for their unique warmth and character. 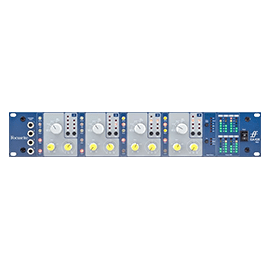 Most recently, Focusrite have recreated the sound of the ISA on their more affordable Clarett range, with their new "air" preamps. They continue to innovate and build on their range, always retaining that warm yet transparent sound that they have become renowned for. From entry level interfaces to professional studio solutions, compact desktop boxes and rackmount hardware; Focusrite has a setup to suit your studio. The Itrack Series offers the ultimate in compact recording. Designed to connect to your iOS device, the Itrack series is tailor made for songwriters to capture their ideas anywhere and at any time. 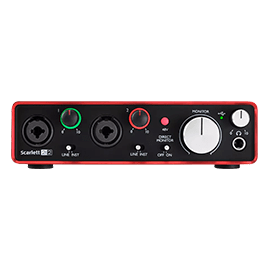 The Scarlett range is now somewhat legendary with the project studio industry, as one of the first interface ranges to offer proper high-quality recording on a budget. 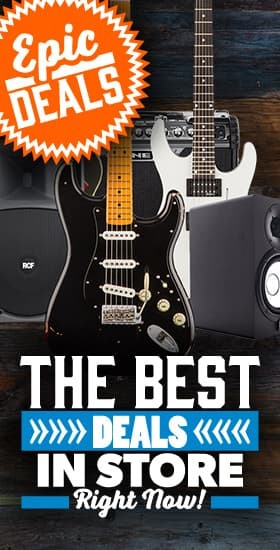 Now in its second iteration, the Scarlett is available in 2,4 or 8 preamp options, and remains as one of the best "first interfaces" you can get for your money. 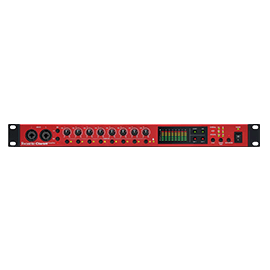 The Clarett range marks a definite step up in quality and price from the Scarlett range, with innovative "air" microphone preamps that give the interface the presence and character you'd expect from a classic preamp circuit. The Clarett series is a fantastic alternative to some of the traditional, long-standing industry favourites - and it's now available in Thunderbolt or USB-3! ISA is where it all began, and it continues to be a massive part of all Focusrite interfaces. However, if you want the real deal, the ISA preamp design forms a big part of Focusrite’s Heritage range of devices. The ISA microphone preamp holds a reputation for outstanding transparency along with subtle warmth, contributed by transformer core saturation. Over the years, the Focusrite Heritage Sound has been behind hundreds of hits made by top artists, producers and engineers working in leading studios around the world. From a single preamp to a bank of 8, and even a versatile channel strip; you can get the Focusrite ISA sound in your studio too!